In the ten or so years I’ve been blogging, Ivan Pepelnjak has been constant figure in the tech industry. His prolific blogging and sharing of knowledge is one of the inspirations for my own entry into blogging. Over the years, we have usually agreed violently on most things and disagreed on others. His ipSpace website has grown from a blog into a membership and more recently into a consulting service. 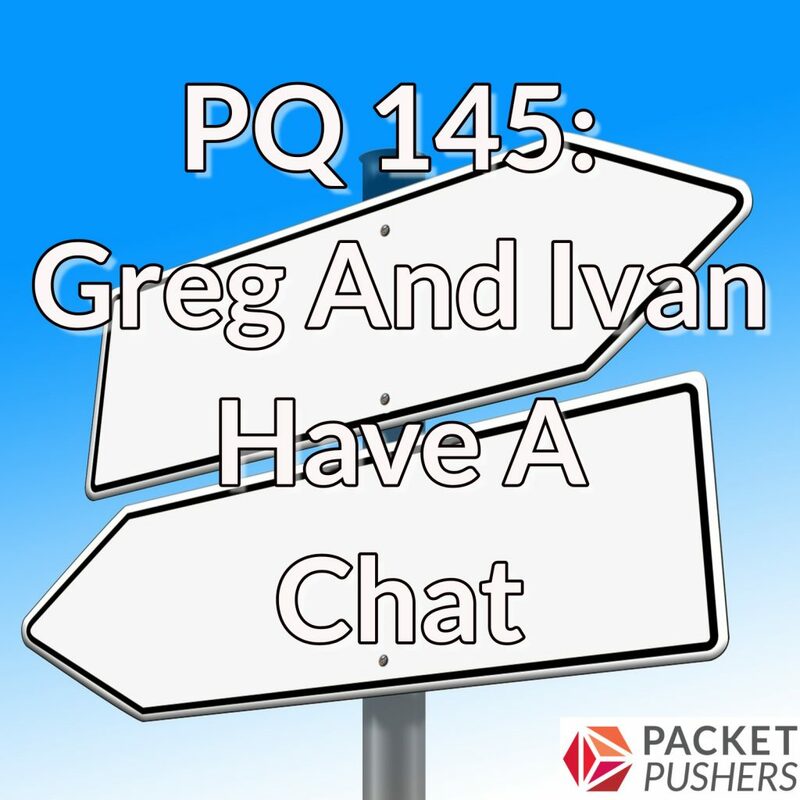 On today’s Priority Queue, Ivan and I talk about automation, intent, product quality and what can be done to improve it, the direction private clouds might take, and whatever else catches our fancy. Paessler AG is the maker of PRTG Network Monitor. PRTG monitors your whole IT infrastructure 24/7 and alerts you to problems before users even notice. Find out more about the monitoring software that helps system administrators work smarter, faster, better. Visit paessler.com today. Yes! Finally.. was waiting for Ivan to visit you guys. thanks for the open discussions. in this era we need to think hard about how we are to drive networks forward.